Criminal Minds’ BAU team is returning for a 15th season, which will also serve as the final season of the long-running crime drama procedural, Variety has confirmed. Season 15 will consist of 10 episodes, which will be shot back-to-back. The 15th season will air during the 2019-2020 season, bringing the final episode count to 325. Season 14 is currently in production with its season finale set to air on February 6. 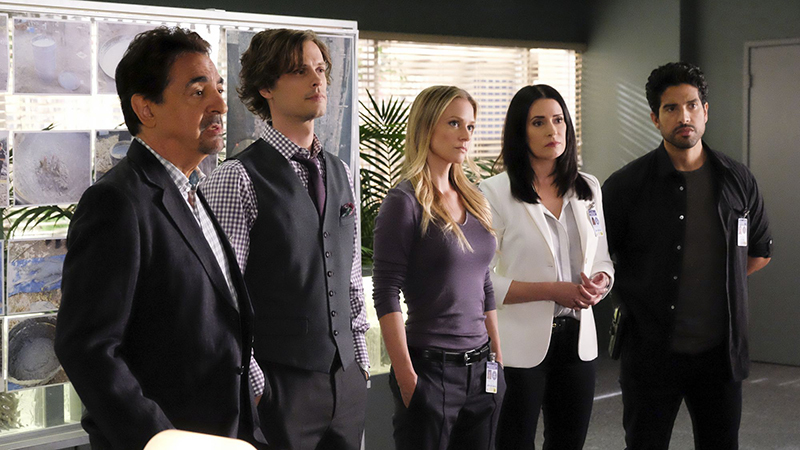 The series stars Joe Mantegna, Paget Brewster, Matthew Gray Gubler, A.J. Cook, Aisha Tyler, Kirsten Vangsness, Adam Rodriguez, and Daniel Henney. Criminal Minds was created by Jeff Davis (Teen Wolf, MTV’s Aeon Flux) and is executive produced by Mark Gordon, Erica Messer, and Breen Frazier. The series is produced by ABC Studios in association with CBS Television Studios. The post CBS’ Criminal Minds Series Renewed for 15th & Final Season appeared first on ComingSoon.net. August 24, 2016 at 11:27 PM Thursday, Aug. 25 Filming Locations for NCIS: L.A., Shameless, OITNB, Law and Order: SVU, & more!